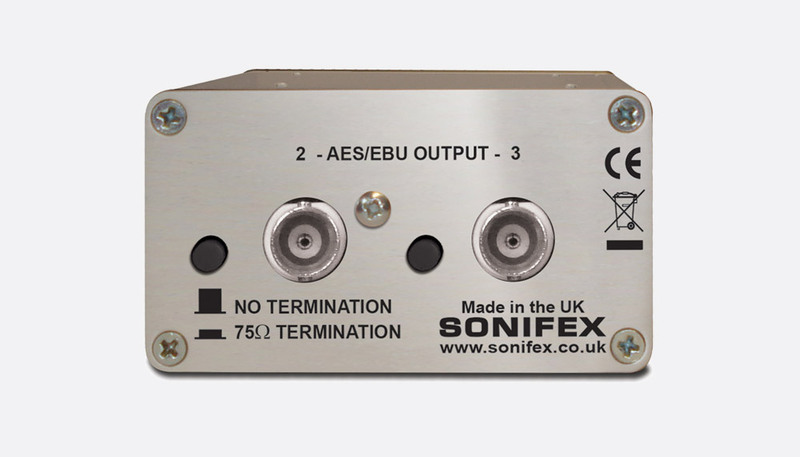 Housed in a sturdy and compact aluminium casing the Sonifex CM series passive splitters have been designed for those looking to split and input signal to multiple destinations, particularly useful in broadcast studio environments. The CM-AESB3 is a passive, 1:3 splitter that allows dispersion of a single AES3ID digital source on BNC input, to up to three BNC outputs, whilst requiring no power to operate, particularly useful in broadcast and video production. 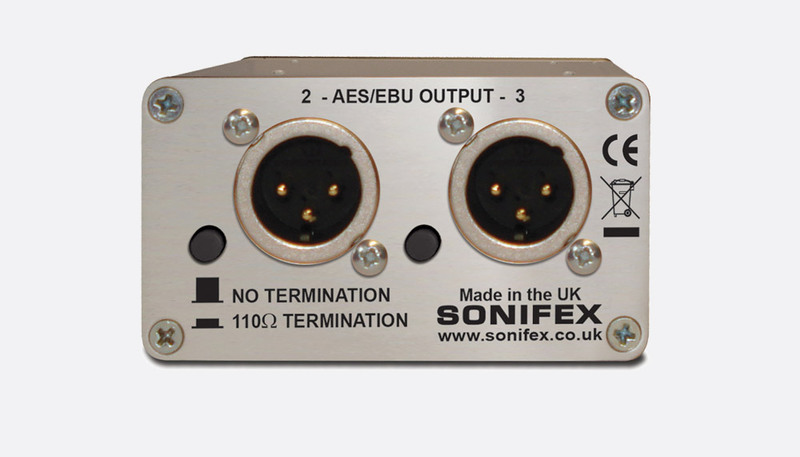 The front facing panel houses the AES/EBU input and AES/EBU output 1, whilst the rear facing panel hosts AES/EBU outputs 2 and 3. Outputs 2 and 3 have switches for the user to select no termination or 75 ohm termination if used to maintain optimum carrier parameters. 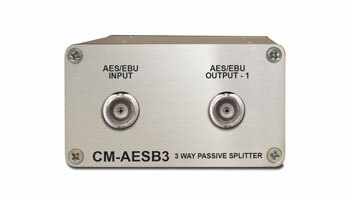 This has the same functionality as the CM-AESB3 however the I/O is by way of 3-pin XLR as opposed to BNC connectors. The switches on the rear panel allow the user to adjust for 'no termination' or '110ohm termination' for instances where outputs 2 and 3 are not in use. 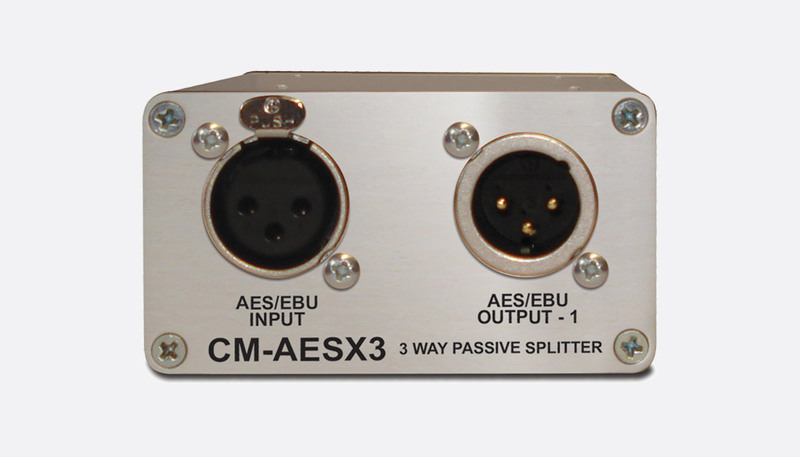 Like the CM-AESB3 and CM-AESX3, the CM-MS3 is a 1:3 splitter however this unit is designed to split a single microphone signal on 3-pin XLR with an input of up to +18dBu, and provide up to three outputs on 3-pin XLR. 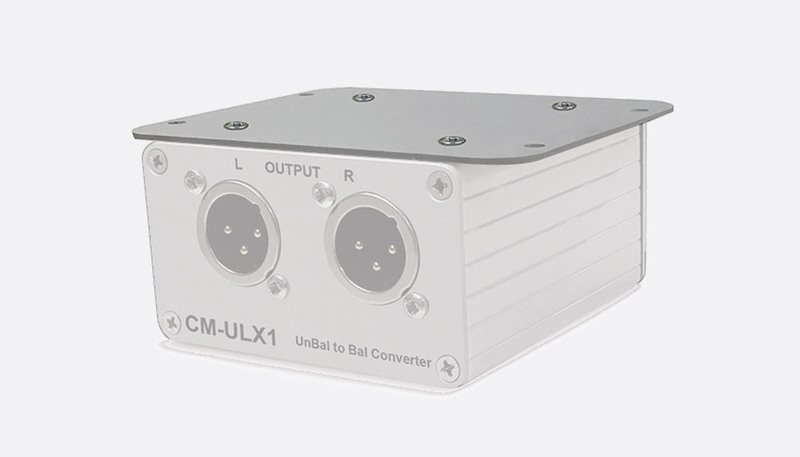 Due to the internal transformer, this unit can also be used for line level signals. The front facing panel has the source input, direct output 1 and a power input for use with external +48V DC power supply. 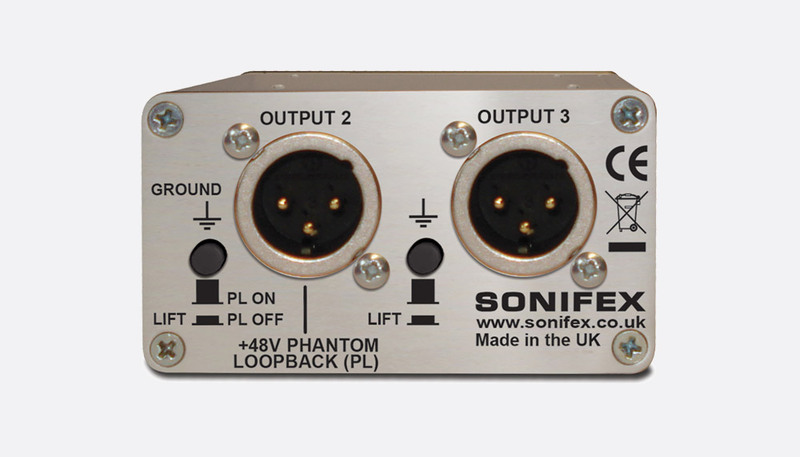 Using the external power supply enables the unit to provide phantom power without the need for connection to an external preamp proving +48V phantom power. 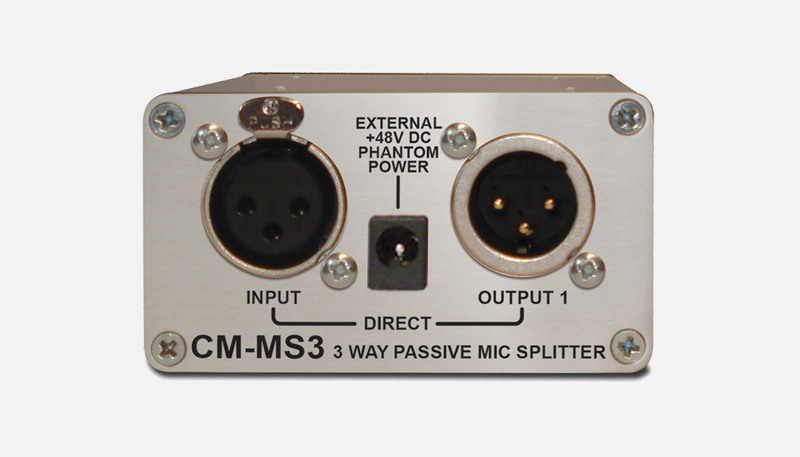 The method in which phantom power is applied can be set using push switches on the rear panel. These switches also apply a ground lift to lift pin 1 of outputs 2 and 3 resulting in elimination of any ground loop hum.